To accommodate students taking the SAT on that day, "Showtime" will offer 2 sessions (AM & PM) to allow for maximum player participation. This event is setup exclusively for c/o 2019 through 2021 players. ALL player receive a T-shirt with PAID registration. 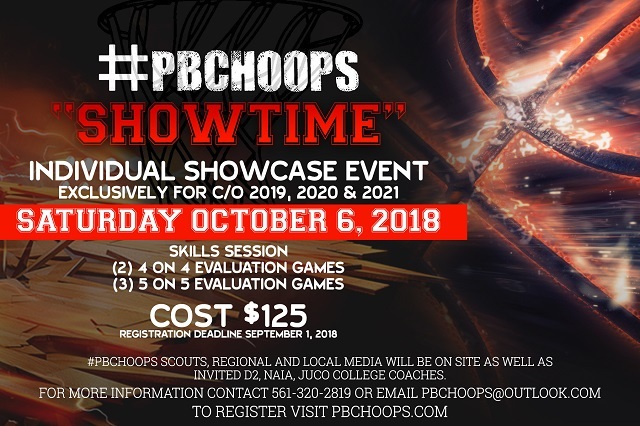 #PBCHOOPS Scouts, regional media and local media will be on site as well as invited D2, NAIA, JuCo college coaches.